The postcard in my hand is so old I’d expect it to be worn and frail and downright unimportant. It’s not, though. It’s one more amazing golden star resting among years of memories. Life and love that I’ve discovered again in a bin in the basement. 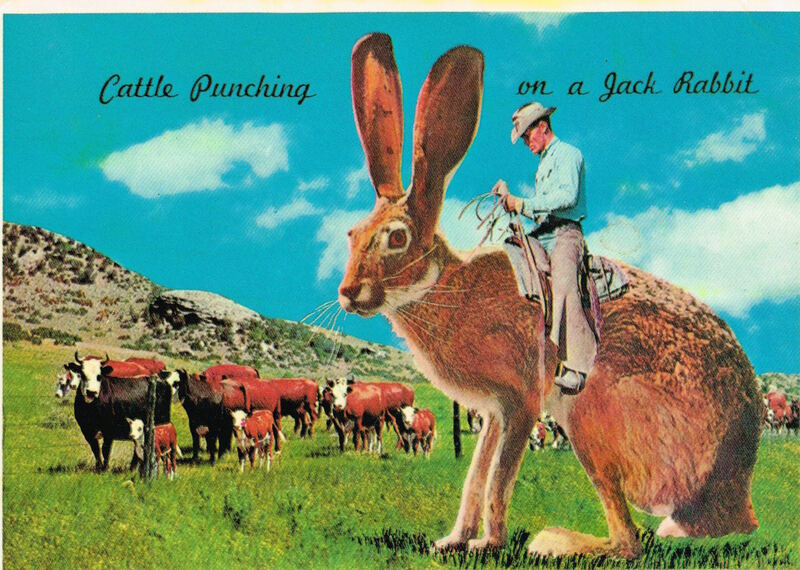 The cowboy doing his day’s work on the back of a jack rabbit still cracks me up. Cristy’s words touch my heart, make me laugh and warm my toes. Long flowing letters from Lynda fill my heart with joy. I chew on my bottom lip and take a deep breath reading love words from a lover long gone. For days now, I’ve been walking from the warmth of my home, across the driveway in the rain and into the dank basement. Each trip, I grab one more plastic bin full of flashbacks to carry into my study. I’m in no hurry as I bend over and pick up a memory, one at a time. Photographs, loosely tossed among letters and proclamations and typewritten resumes and newsletters. 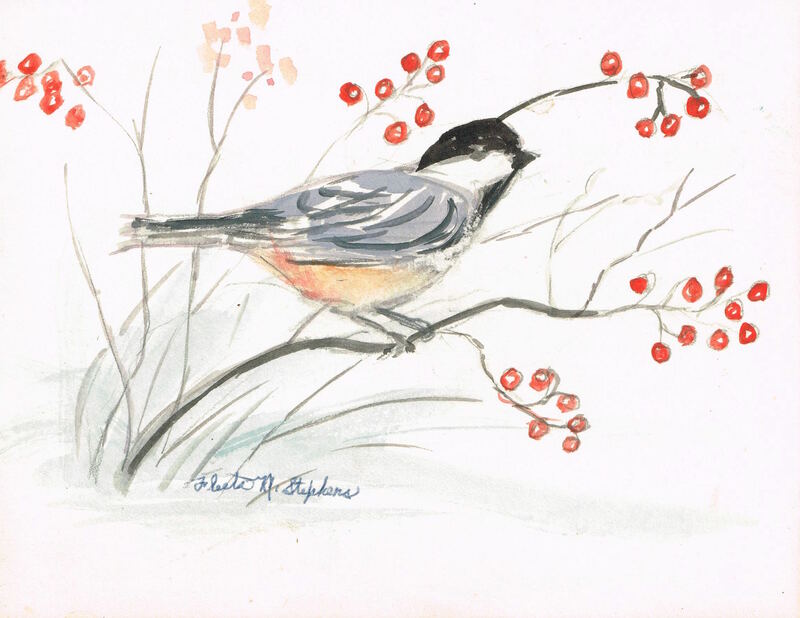 Handwritten postcards and Christmas cards and birthday cards, sympathy cards. Bent or broken picture frames, some empty, others as if they just fell off the shelf. 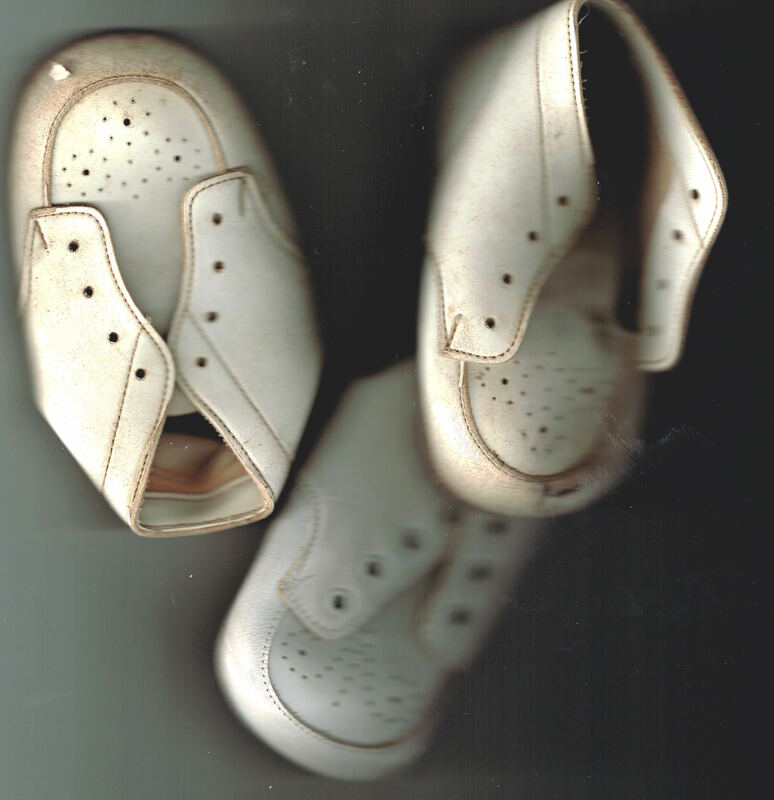 Drawings by young children and more than a pair of white leather baby shoes. Sure, I have picture albums. They sit on my bookcase. They’ve been sitting around on my bookcases for years. We look at them on occasion, friends and family. And, yes, I have thousands of jpgs and pdfs and pngs in folders all over my computer. I print them out often enough. But the bins, that’s where the real treasure lives. 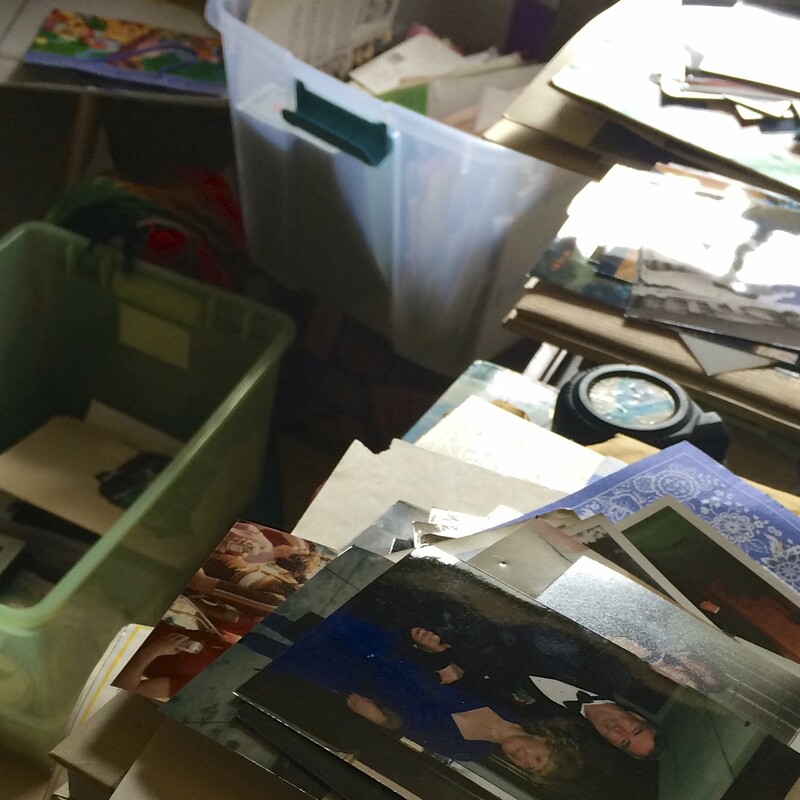 What draws me into the bins is not the written word or the color on the postcards, the letters, or the drawings. 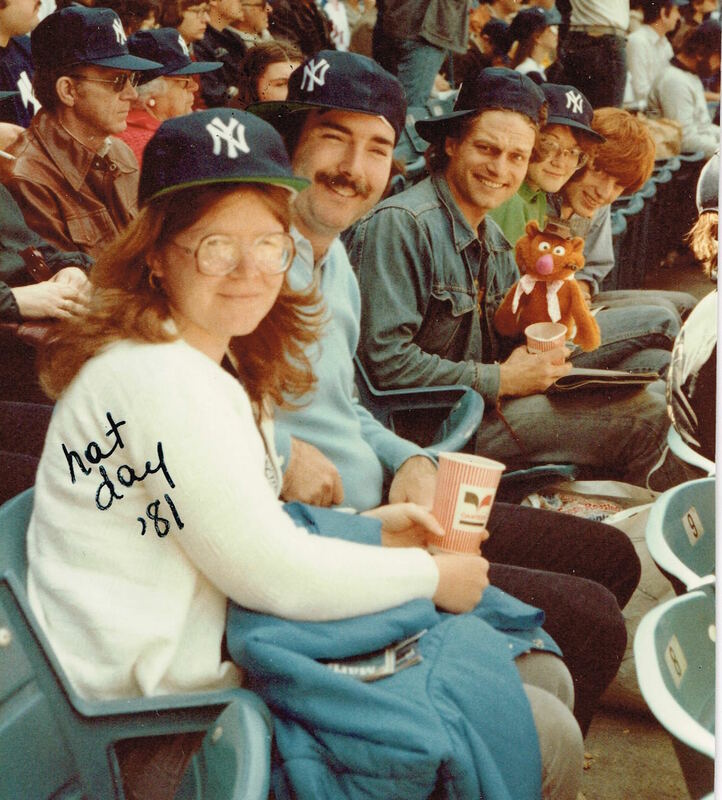 It’s the love stretched across the years from one hand to another. I’m afraid that all of our easily computerized ‘stuff’ could be depriving us of a future full of overflowing boxes and bins in the basement. We need to hold those sentiments in our fingers, in our hands, as surely as we need to hold a book bound by stitching in our lap. So, today, before I completed this story to you, I wrote a letter to someone dear to me. I’m going to lick that stamp and stick it in the top right corner of an envelope and send it off. And then I’m going to print off this page, sign it and put it in a new book for someone to pick up years from now when they’re going through bins in the basement. Maybe it will be me. Are you missing that feeling of having a letter in your fingers, or a postcard from paradise? Send me your address. I’ll send you one. From my hand to yours. Who knows? We could start a trend. As for the bins in the basement, I have a plan.